The Solution Project proposes to design and implement a functional integrated ‘pop up’ farm and food production system at the Con Ed John Street lot purchased by the Brooklyn Bridge Park. 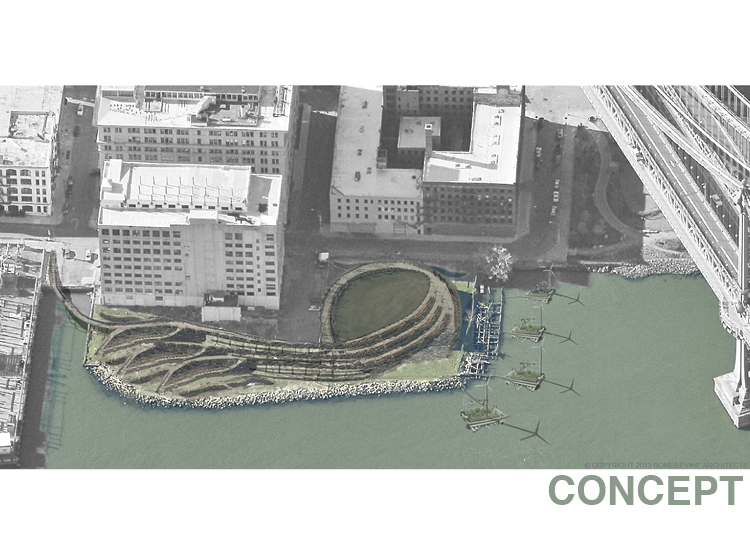 This project addressed issues of brownfield remediation, climate and sea level change, foodshed and watershed awareness as well as food production in the Brooklyn waterfront and downtown area by relying on passive and sustainable design elements in the creation and execution of a dynamic interactive Garden Laboratory that will enhance the growing residential community and feed into the adjacent farmer's market. The project seeks to become a prototype for the transition phase of the site from presently distressed, contaminated and vacant lots to ultimate development. 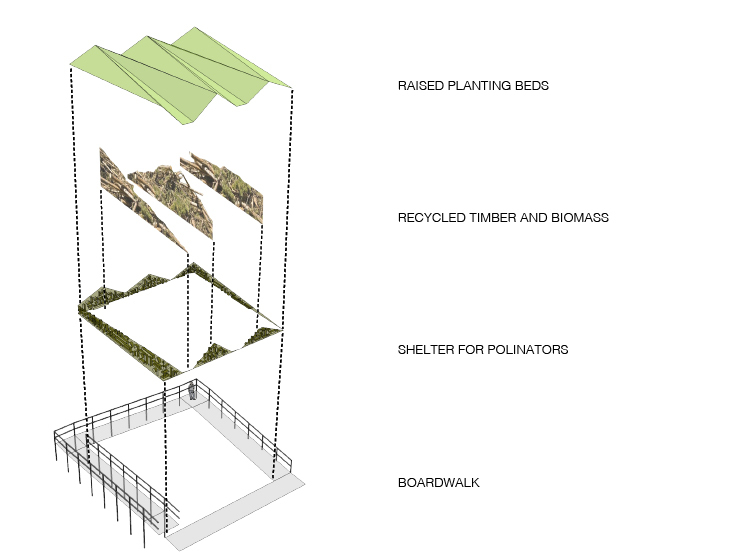 In the interim, a modular structure composed of prefabricated elements designed to facilitate the creation of 'earth platforms' integrated with and hovering above the brown field, will bring about an environmental transformation of the site and surroundings that becomes an instant (pop-up) interactive community garden and agricultural leaning experience. This prototype 'pop-up' garden is constructed with locally sourced materials and labor.